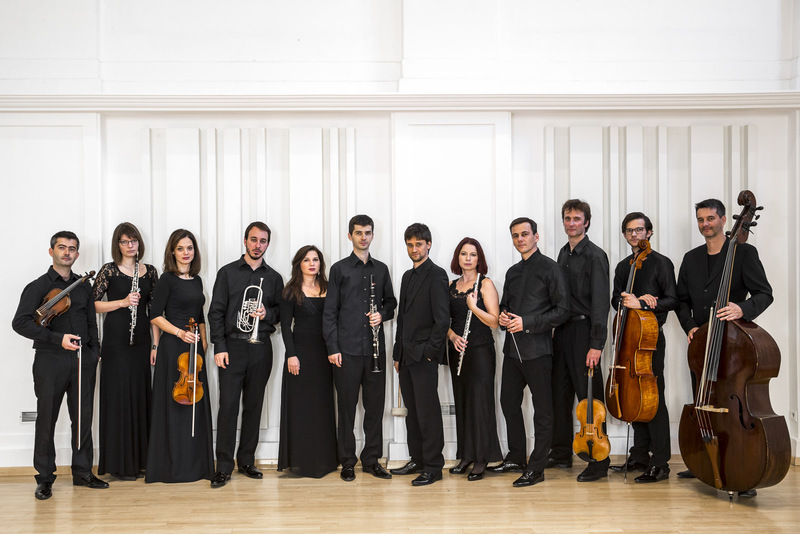 Quasars Ensemble, established in 2008, is a music ensemble, unique in its breadth of the repertoire consisting of contemporary classical music as well as of the music of the past eras. It confronts the latest contemporary works with the structural principles of the foregone classical music. The orchestra’s focus is on the introduction of rare and forgotten ensemble pieces, particularly by the Slovak authors. The ensemble performed concert works of some of the world’s most influential contemporary music composers such as Bent Sørensen, Michael Jarrell, Kaija Saariaho, Toshio Hosokowa and Tristan Murail with composers themselves in attendance. Quasars Ensemble cooperated with artists like Camilla Hoitenga (flute) Mario Caroli (flute), Ilya Gringolts (violin), Dalibor Karvay (violin), Lionel Peintre (barytone) Sergej Kopčák (bass) and Stephan Loges (barytone). In 2012, Quasars Ensemble was selected to take part in International Summer Course for New Music in Darmstadt, Germany, considered to be the most prestigious contemporary music event in the world. Quasars Ensemble has been the resident ensemble of the Kasárne/Kulturpark Cultural Center in Košice. Its concert cycle was an essential element in the European Capital of Culture 2013 and ISCM Music World Days 2013 projects in the city. In a unique arrangement, the Slovak Philharmonic Orchestra hosted Quasars as its soloist performing Ivan Buffa’s „Organismi“. Quasars Ensemble has a recording contract with Hevhetia Recording Company. Their album containing pieces by Schönberg, Albrecht and Hindemith, who are considered the founding fathers of the chamber symphony, was awarded with the most prominent artistic award in Slovakia – Krištálové krídlo (Crystal Wing). Harmonie, a prestigious Czech music magazine, gave their recording of the works of Mahler, Debussy, Albrecht and Poulenc its „Editor’s Choice“ award and a six-star rating.